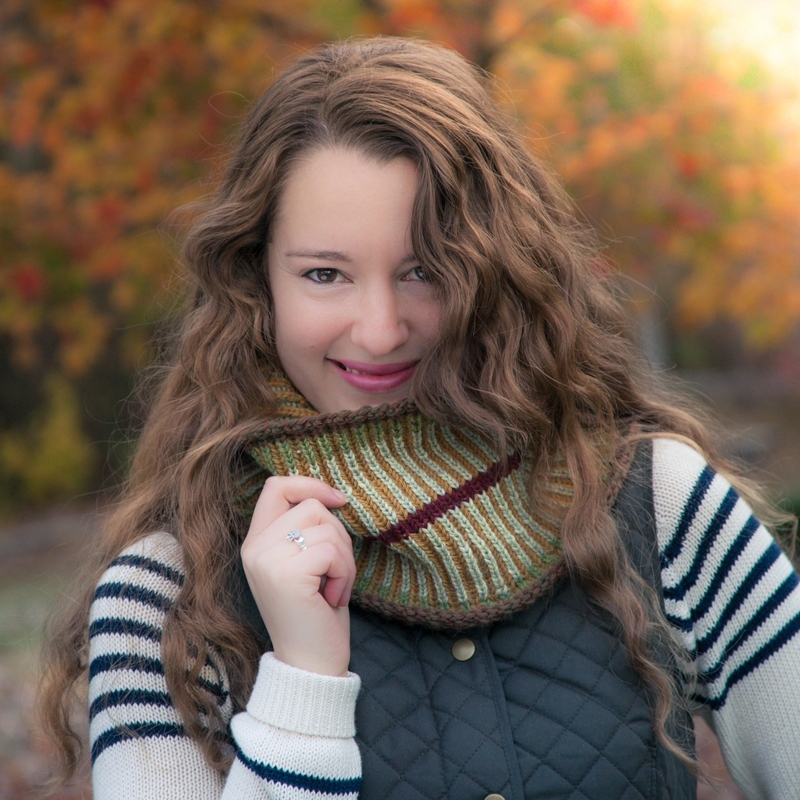 Loom knit brioche stitch cowl, scarf pattern. Preppy, equestrian style neck warmer. 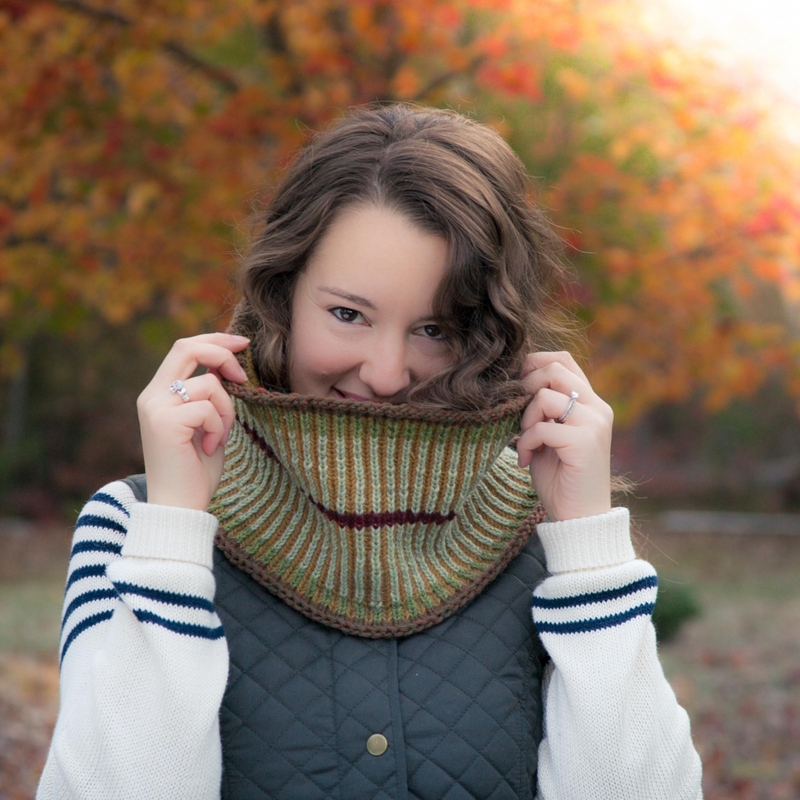 Lovely brioche stitch cowl pattern. 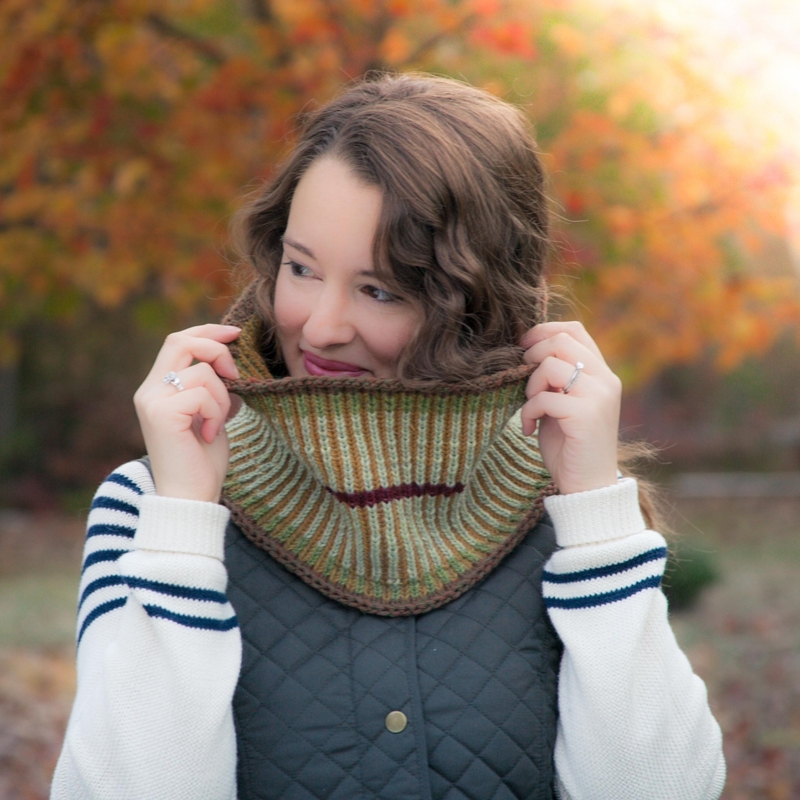 Two color brioche stitch and colorwork give this cowl it’s classic styling. 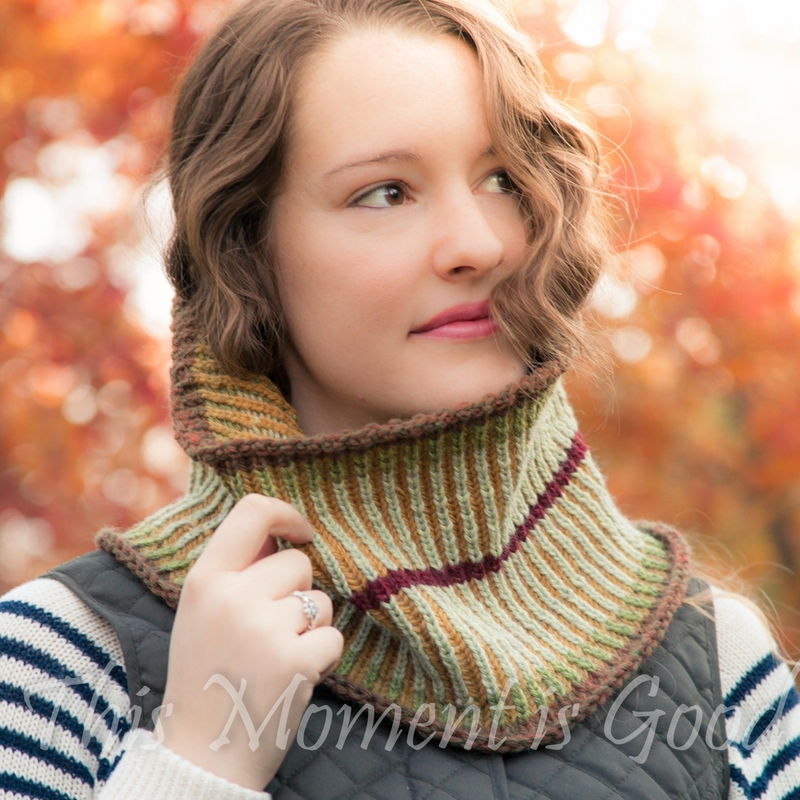 This is a versatile pattern, easily adapted to a multitude of looms. Brioche is easy to learn and fun to loom knit. Confident Beginner. Skills needed: Knit, purl, skip1, pattern reading. • 120 Peg (3/8” peg spacing) round loom. 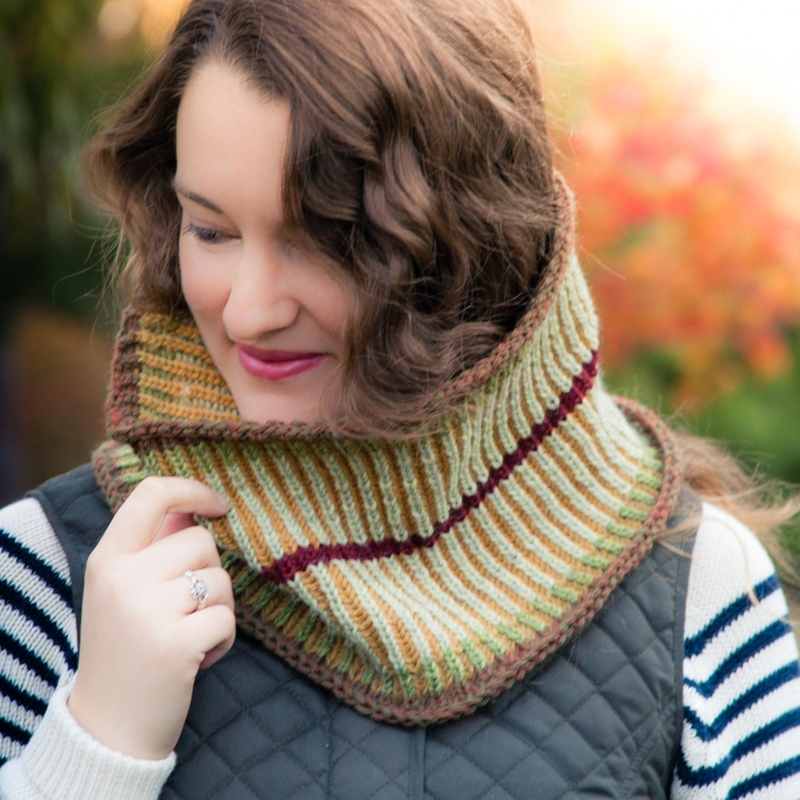 This pattern easily adapts to any even peg loom that will produce a cowl large enough to fit around the recipients neck, it is up to the loomer to adjust yarn weight and rows if changing the loom. Fits teen to adult but can easily be made in other sizes by changing the loom.